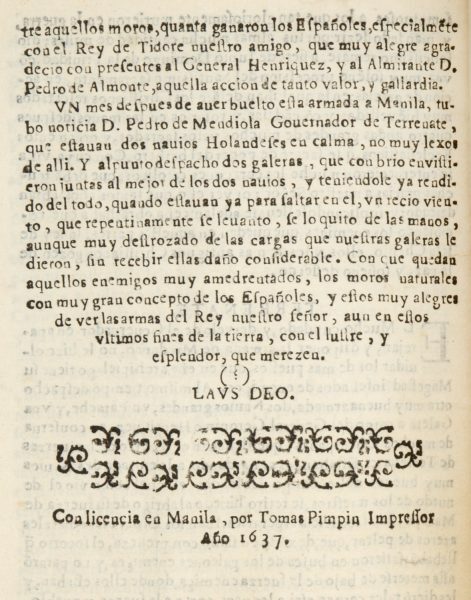 contra el Mindanao ; y en las de Terrenate, contra los Holandeses, por fin del año de 1636 y principio del de 1637. 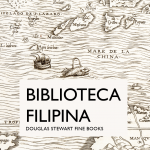 En Manila : por Tomas Pimpin Impressor, 1637 [colophon]. 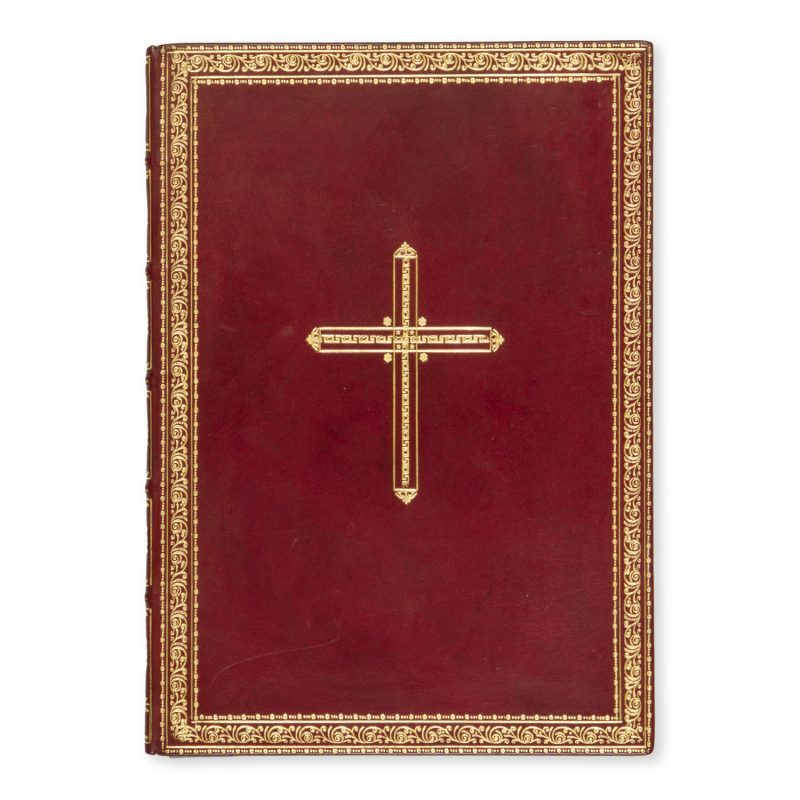 Small quarto, modern red calf, gilt crucifix to upper board, ornamental gilt borders, spine in compartments with gilt decoration, gilt inner dentelles; printed on rice paper; ff 7; ornamental initial, tailpiece; small area of loss to each leaf with paper restoration, a fine copy. 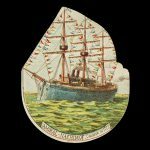 An anonymous account of the recent Spanish successes in the Philippines. 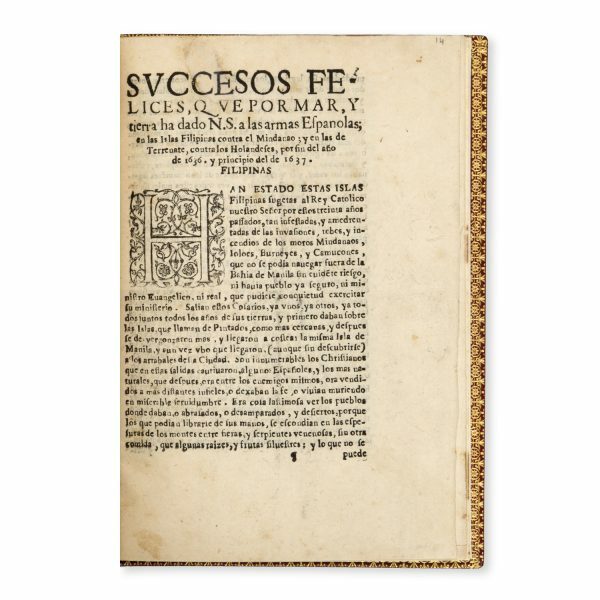 A similar report was printed at Seville in 1639. 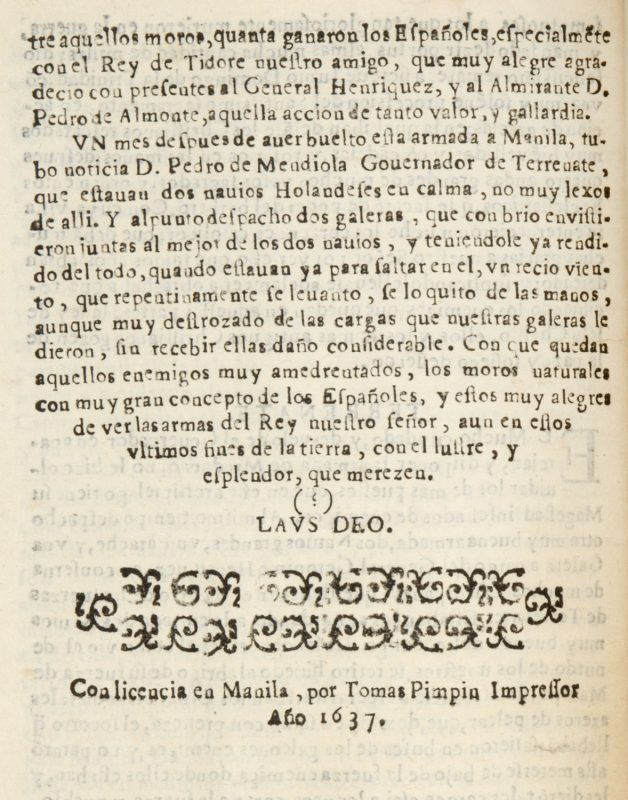 However, while both reports describe the victories against the King of Mindanao, the Seville imprint does contain the account of the events at Terrenate, where the Spaniards fought with the Dutch in 1636-7, that is included in this Manila imprint of 1637. Medina believes that this relation was executed at Manila at the press operated by the Jesuits and is consequently one of the earliest examples of Philippine typography printed on Chinese paper. 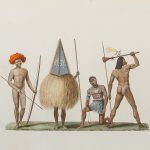 Pardo de Tavera, Biblioteca Filipina, 2677; Jose, Impreso, 89; Bernardo 620; Medina, Manila, 50; Palau 324457.